Pincus Professional Education has put on its premier Circuit Court Boot Camp for seven years for a reason – it’s that good. This program delves into general litigation skills and strategies as well as providing an inside look at, and advice about, litigating in Circuit Court. We cover everything from complaints to discovery to case management conferences, motion writing and tricks, trial prep, and trial techniques. All designed to teach you the mistakes not to make – how not to ruin your case and your reputation with Circuit Court judges. If you are new, or somewhat new, to litigation – this class is for you. Recently graduated law school? – can’t miss it. You don’t get these skills, this practical advice, and this insight from sitting judges in law school. There is no better Circuit Court and litigation primer program in Florida. Our testimonials (see tab below) can speak to that claim. “Excellent, thanks!” – Richard Sierra, Esq. “Very good pointers regarding prepping a case for trial.” – Lourdes Brea, Esq. “Good job, good speakers…All were awesome and very knowledgeable.” – James Carlson, Esq. “Gained great practical insight…great materials provided in the handout.” – Michelle Hardin, Esq. “The presentations and speakers were excellent. The materials are complete and helpful. I have done many CLE’s and generally find that the purpose of the CLE is to further and promote the business of the person giving the CLE. This presentation was very different – it was clearly designed to improve the attendee’s lawyering skills. I would be most inclined to participate in other classes that you give.” – Debra L. Fein, Esq. “Getting a judge’s perspective about Motions to Dismiss and Summary Judgment was very helpful in learning how to present my arguments in future hearings.” – Mitchell Morneault, Esq. “I like the materials provided and the speakers, who were really knowledgeable and good speakers. I congratulate all of them. I’ve had a very good experience.” – Regina Pitarch, Esq. “Extremely valuable information…I learned a lot of valuable information about what judges feel is important. Learned more than I did in law school.” – Barbara Billiot Stage, Esq. “It was very thorough with details and experiences that help put into context the information. I am so glad I chose to come to this program.” – Karen Descafano, Esq. “All the presenters were great.” – Corey Cartwright, Esq. “The Q&A was particularly helpful.” – Lindsay M. Bosquez, Esq. “I came to learn from seasoned attorneys and judges. I’m quite satisfied.” – Nina E. Patterson, Esq. 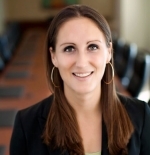 “Great program and learning experience.” – Alexis Trematerra, Esq. “Very practical and knowledgeable.” – Lourdes Brea, Esq. “Very informative and reinforcing seminar.” – David B. Russell, Esq. “Very thorough and well-structured with knowledgeable and relatable speakers.” – Jon Morris, Esq. “Fantastic program.” – Albert Sanchez, Esq. “Very helpful to get judges’ point of view.” – Jennifer Fitch, Esq. “Informative and educational seminar. It was a very good program. Highly recommended.” – Christine Forsythe, Esq. “All faculty members did a great job. I liked all of them.” – Frank Minton, Esq. “I think all the speakers did a great job. I found this presentation very informative.” – Waynice Green, Esq. “Enjoyed hearing the judges give their thoughts on how we can be better attorneys. It was very insightful.” – Chelsea Ewart, Esq. “Powerful program with insighful, practical tips.” – Hecter Concepcion, Esq. “Very good!! Informative and knowledgeable.” – Robert Hartsell, Esq. ”Seminar included a great overview of Litigation Proccedings from start to finish.” – Daylen Docampo Perez, Esq. “I am a 20+ year general counsel. I don’t typically enjoy seminars, but this was excellent.” – Doug Griffin, Esq. Hon. Antonio Arzola is a judge of the Eleventh Judicial Circuit Court, Civil Division, in Florida. Hon. Arzola was appointed to the Eleventh Judicial Circuit Court, Civil Division by former Governor Charlie Crist on September 22, 2009. He was elected in 2012 and his current term expires in January of 2019. In September 2009, he was appointed to the Miami-Dade County Court and joined the circuit court that same year. In 1996, he joined the law firm of Murai, Wald, Biondo, Moreno & Brochin, P.A., where he practiced until 2005. He began his career in 1995 as a judicial law clerk for U.S. District Judge Federico Moreno. Hon. Arzola received his B.S. degree from Florida International University in 1991 and his J.D. degree from the University of Miami in 1995. Alex’s practice focuses on defending consumer product makers in personal injury and wrongful death actions. For the past ten years, Alex has concentrated her practice on representing tobacco manufacturers in thousands of smoking and health cases pending in Florida’s state and federal courts. She has been involved in all phases of that litigation including case strategy, written discovery, depositions, expert witness preparation, motion practice, trials and appeals. During her career, Alex has provided legal issues and trial support in dozens of federal and state jury trials, many of which involved claims for punitive damages. Alex routinely argues significant motions in courts across the state and has also briefed and argued cases in Florida’s appellate courts. In addition to her litigation practice, Alex is active in several bar associations and has held leadership positions in the Florida Bar and the Florida Association for Women Lawyers. Within the Florida Bar, Alex was appointed to, and currently serves on, the Judicial Nominating Procedures Committee. She is also a graduate of the inaugural class of the Florida Bar Leadership Academy. Alex is a past president of the Miami-Dade Chapter of the Florida Association for Women Lawyers, the largest bar association for women lawyers in South Florida. Alex uses her platform as a former bar association president and first-generation American to advocate for greater diversity in the legal profession. She regularly lectures—in both English and Spanish—about the value of diversity in the law. Alex is a recipient of several awards recognizing her advocacy for women, including the Alumni Leadership Award from the University of Miami and the Celebrating Women in Law Award from Florida International University. In addition, Alex has been recognized as a Legal Luminary by the Dade County Bar Association (2016); a Rising Star by the Daily Business Review (2015); and was named one of the top 40 under 40 Outstanding Lawyers in Miami (2012). Since 2012, Alex has been repeatedly listed as a Rising Star in Florida Super Lawyers. A native Miamian, Alex is deeply committed to the city and gives back to the community by donating her legal services pro bono as a Guardian Ad Litem for children in Miami’s family courts through the “Put Something Back” pro bono project in the 11th Judicial Circuit. Alex joined Shook in 2006 after graduating from UM Law. As a law student, she completed a summer clerkship with Justice R. Fred Lewis at the Florida Supreme Court and a two year-internship with Federal Magistrate Theodore Klein in the Southern District of Florida. Alex was also a Certified Legal Intern at the Miami-Dade State Attorney’s Office, where she prosecuted cases in the juvenile division. 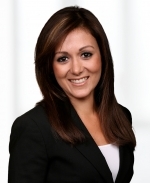 Alaina Fotiu-Wojtowicz is a founding shareholder of BFW. Ms. Fotiu-Wojtowicz is an experienced trial lawyer and has tried cases in federal and state court. She has won numerous multi-million dollar jury verdicts for her clients in both commercial and personal injury cases. She represents corporations, business entities, and individuals in a variety of complex commercial business disputes, and routinely represents individuals who have suffered life altering personal injuries. Mr. Kodsi is a seasoned trial lawyer with nearly twenty (20) years of jury trial experience. Mr. Kodsi has tried numerous cases to verdict in both federal and state court. Additionally, he has successfully tried cases involving many different theories of liability, including breach of contract, bad faith, first-party insurance, patent infringement, employment discrimination, product liability, toxic tort, wrongful death, and personal injury. Prior to forming his own firm, The Law Offices of Neil D. Kodsi, Mr. Kodsi worked for large national and/or regional law firms, where he was one of the “go-to” trial lawyers for those firms for complex cases involving highly complicated expert testimony. Simply put, Mr. Kodsi is — first and foremost — a trial lawyer. Mr. Kodsi’s skills as a trial lawyer have been recognized nationally and locally. He has received public recognition for his skills as a trial advocate in a wide array of cases, ranging from representation of Fortune 100 corporations in high-profile complex wrongful death cases to serving as pro-bono trial counsel representing thousands of Florida Citizens seeking Medicare coverage. Most recently, in March 2012, Neil served as pro bono litigation counsel for a group of autistic children seeking to defeat another Florida State Policy — one that was denying coverage for behavioral therapy for the more than 8,500 autistic children in Florida covered by Medicaid. After a four-day trial in front of U.S. District Court Judge Joan Lenard, Mr. Kodsi and his co-counsel obtained an Order requiring the State of Florida to provide this treatment for all autistic children in Florida covered by Medicaid. In her Order, Judge Lenard referred to this case as one of the most important cases she has heard in her sixteen years on the bench. This case also has received substantial national media attention. 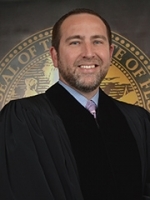 Elliot Kula practices exclusively as an appellate attorney, and earned his Board Certification in Appellate Practice from The Florida Bar in 2010. He has experience representing clients in both state and federal courts, in a variety of substantive areas of the law, and is among a select few appellate practitioners in Florida who maintain a focus on bankruptcy appeals. Kula also provides litigation support during every phase of the litigation in order to optimize the client’s position and create efficient and effective strategies for trial counsel. Kula has argued in every District Court of Appeal in Florida, as well as the United States Court of Appeals for the Eleventh Circuit, the Tenth Circuit, and the United States District Court for the Southern and Middle Districts of Florida. Previously a shareholder with the Greenberg Traurig law firm, where he served as the Administrative Head of the Appellate Practice Group, Kula established his own appellate boutique in 2011. Kula graduated from the University of Minnesota in 1989 with a BA in English, and earned his law degree from Hamline University School of law in 1993. Following his schooling, Kula moved to Miami and became a member of The Florida Bar in 1994. Recognized by his peers for his expertise in appellate practice, Kula has earned AV® Preeminent™ 5.0 out of 5 rating by Martindale Hubbell. And, Kula has been recognized for his appellate expertise in The Best Lawyers in America since 2006, Florida Super Lawyers since 2008, and Florida Trend’s Legal Elite since 2012. His law firm as well has been recognized as a US News & World Report Bes Law Firm in America for appellate practice. Kula is active in The Florida Bar, having served and currently serving on several standing committees (Appellate Court Rules Committee, Rules of Judicial Administration Committee, and the Rules of Civil Procedure Committee). He is a member and active participant in several voluntary bar organization, including the Miami-Dade Trial Lawyers Association, the Third District Court of Appeal Historical Society, the Appellate Practice and Advocacy Section of the Florida Bar, and the Southern District Bankruptcy Bar Association. Sheila is a trial attorney who focuses her practice on complex commercial litigation matters that span a variety of industries. From entertainment, real estate and healthcare, to construction, condominium associations and hotels, her experience also includes money transmitters, professional services, moving and mobile storage, automobile dealerships and audio/visual services. Notably, Sheila successfully defended a million commercial foreclosure trial and successfully prosecuted the counterclaim for declaratory relief in that action that went to trial for over 4 days. She has handled matters involving partnership and business disputes, commercial foreclosures, civil theft, breach of contract, civil fraud, motor vehicle dealership law, consumer fraud, bank litigation, commercial landlord/tenant disputes, condominium law and public adjuster compliance nationwide. Sheila also has experience in assisting clients with general corporate and contractual matters. Sheila has been selected for inclusion in Florida Trend’s Legal Elite 2010 as a top “Up and Comer” and was selected by her peers as an honoree for the Cystic Fibrosis Foundation’s 40 Under 40 Outstanding Lawyers of Miami-Dade County Award in 2012. 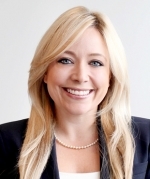 She was also selected as one of the Top 14 Lawyers to Watch in 2014 by Attorney at Law Magazine and named a Rising Star in Business Litigation by Super Lawyers in 2016. Sheila is conversational in Farsi. Dana Quick practices in the area of insolvency and commercial litigation. Her experience includes prosecuting director and officer liability claims; representing trustees, creditors, creditor committees, and debtors in bankruptcy proceedings; state court insolvency litigation; and prosecuting and defending preference actions. Additionally, Dana has significant experience representing and counseling companies of all sizes on employment issues, including ADA, FMLA, and Title VII matters. Prior to joining Bast Amron, Dana served as a law clerk to U.S. Bankruptcy Judge Laurel Myerson Isicoff. Benjamin L. Reiss practices in the areas of general commercial, product liability and other civil litigation in federal and state courts, criminal defense and property tax appeals. He has been involved in approximately 60 jury trials, over 45 of which he has been the lead trial lawyer. Ben is a former Assistant Public Defender and has wide-ranging jury trial experience. He is on the Board of Directors of the Dade County Bar Association, a Member of the Florida Bar Code and Rules of Evidence Committee, and a former Chair of the Florida Bar Standing Committee on Professionalism. Ben has presented the Professionalism portion of the Florida Bar’s Practicing with Professionalism Seminar on numerous occasions, and is the former Vice President of the Board of Directors for Legal Services of Greater Miami, Inc.
James N. Robinson II, Esq. Drawing on his signiﬁcant experience in state and federal courts handling virtually every type of civil case, Jim’s practice is primarily focused on commercial trial work. He works to limit his clients’ exposure and to protect their interests. Jim has particular experience of representing regional and national law ﬁrms in legal malpractice lawsuits. In such cases he takes a thorough, hands-on approach, managing all aspects of the lawsuits. Many of Jim’s recent commercial cases include representation of clients connected to the banking industry. Such cases include representation of financial technology (fintech) companies involved with merchant services and credit card processing in both domestic and international disputes. In addition, Jim has represented a series of banks against multimillion-dollar lender liability lawsuits, most of which were resolved with summary judgment in Jim’s clients’ favor. For banking clients, Jim also brings his experience of prosecuting dozens of commercial foreclosure lawsuits on loans totaling over US $ 1.5 billion. 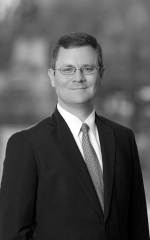 Jim represents foreign and domestic corporations in contract disputes, regulatory and compliance matters, and consumer class actions at various stages, including appeals. He has successfully defended numerous director and ofﬁcer liability actions, and has successfully represented real estate developers and contractors in real estate disputes throughout the United States. Jim is an active member of a number of professional associations, including the Federal Bar Association, the Trial Lawyers Section of The Florida Bar, the International Law Section of The Florida Bar, the Miami-Dade County Bar Association and the J. Reuben Clark Law Society. He has taken lead roles in a signiﬁcant number of professional committees, including as the Chair of the International Litigation and Arbitration Committee (2008), the Chair of the International Litigation and Arbitration Committee Conference (2007), a Steering Committee Member on the International Litigation Update (2005–2006), and as a Chair of the FGCU Alumni Association Board of Directors (2009–2011). He has also served on the Law Alumni Council, University of Florida Levin College of Law. Early Bird Pricing Ends March 30, 2018. FL General: This program is approved for 9.0 general CLE units in Florida through December 1, 2019.